Budget smartphone buyers have in the past been forced to make do with weak processors and minuscule amounts of RAM and storage. However, with strong competition, we have seen entry-level smartphones get better over the past year and the 10.or D is yet another step in that direction. This budget-friendly smartphone packs in a Qualcomm Snapdragon 425 processor, 2GB of RAM, and a fingerprint scanner, all for a starting price of Rs. 4,999. 10.or is a new brand in the country and has already launched the 10.or E and 10.or G models. The new 10.or D has been launched under the ‘Crafted for Amazon’ programme, under which Amazon says it shares customer insights with manufacturers in order to source better products. The 10.or D will be exclusive to Amazon India and will start at Rs. 4,999 when it goes on sale in early January. While the price is low, the 10.or D faces stiff competition from the Xiaomi 5A (Review). Xiaomi marketed the Redmi 5A as desh ka smartphone, launching it at Rs. 5,999 and then discounting it to Rs. 4,999 for the first few million units. Now, if you are looking for a smartphone on a strict budget, does the 10.or D deliver even better value? We put it through our tests to find out. The 10.or D is quite basic in terms of design, and there is nothing that makes it stand out. The company has used plastic all over, with the back panel sporting a metallic finish. This smartphone is available in Beyond Black and Aim Gold colour options. We had a Gold review unit which has a gold front face, and you can go for the black variant if you prefer a more sober look. The smartphone is quite thick at 8.98mm and weighs 150gms which makes it heavier and slightly bulkier than the Xiaomi Redmi 5A. It has a SIM tray slot on the left which can house two Nano-SIMs and also one microSD card. The Micro-USB port is positioned at the bottom along with the primary microphone, while the secondary microphone and 3.5mm headphones jack are on the top. The loudspeaker is on the back of the phone. The 10.or D ships with a 5W charger but you do not get headphones in the box. 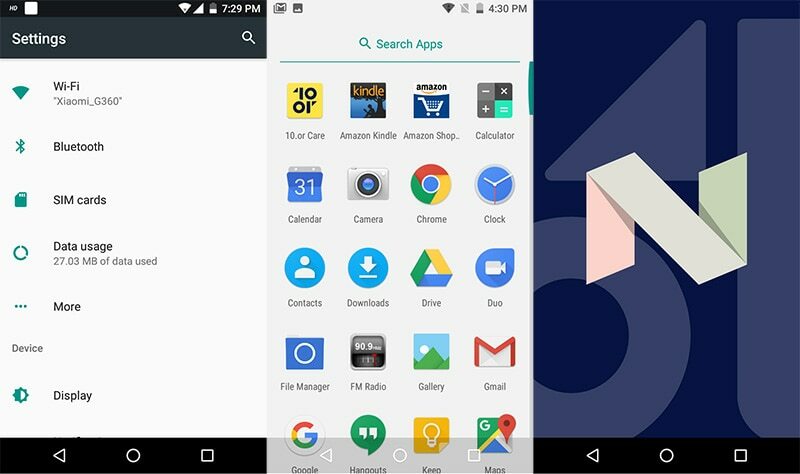 In terms of software, the 10.or D runs on stock Android Nougat 7.1.2 with a few apps preinstalled. You get 10.or Care app, Amazon Shoppoing, Amazon Kindle, Amazon Prime Video, and a sound recorder app. Apart from the scheduled on and off options in the Settings, there are no changes compared to stock Android. 10.or states that the D is upgradable to Android Oreo which is good considering its low price point. There is no denying that 10.or has managed to deliver some impressive hardware at this price point. We found that the phone could run without any lag or stutter. Our unit with 3GB of RAM had close to 1.5GB of RAM free on average. The only hiccup was the relatively long load times for heavier apps and games. The phone supports 4G and VoLTE on both SIMs but only one can get onto the 4G network at a time. We found the fingerprint scanner on the phone to be fairly accurate but there is a slight delay while unlocking the phone. We ran a couple of benchmarks on the 10.or D. It managed to return 36,761 in AnTuTu, and 682 and 1,902 respectively in Geekbench’s single-core and multi-core tests. The 10.or D also managed 7,274 in 3DMark and 14fps in GFXBench. We ran Clash Royale and Shadow Fight 3 on the phone and both ran without any issues. Battery life was also good, and we could manage to run it for one full day without the need to plug it in. In our HD video loop test, the phone lasted 12 hours, 26 minutes before running out of juice. The 10.or D has a 13-megapixel camera at the back and a 5-megapixel one in front. The camera app is basic and has a few quick toggles. While the camera is set to Auto scene detection mode by default you can select different between scenes manually. You also have panorama and beautification modes. The camera has face detection on by default and this works quite well. The 10.or D is a good smartphone for the price it commands. It has powerful hardware and runs clean, stock Android, but like other phones in this price segment, the camera performance is mediocre at best. However, the fingerprint scanner gives it a slight edge over the Redmi 5A, making it a solid alternative to the Xiaomi phone.